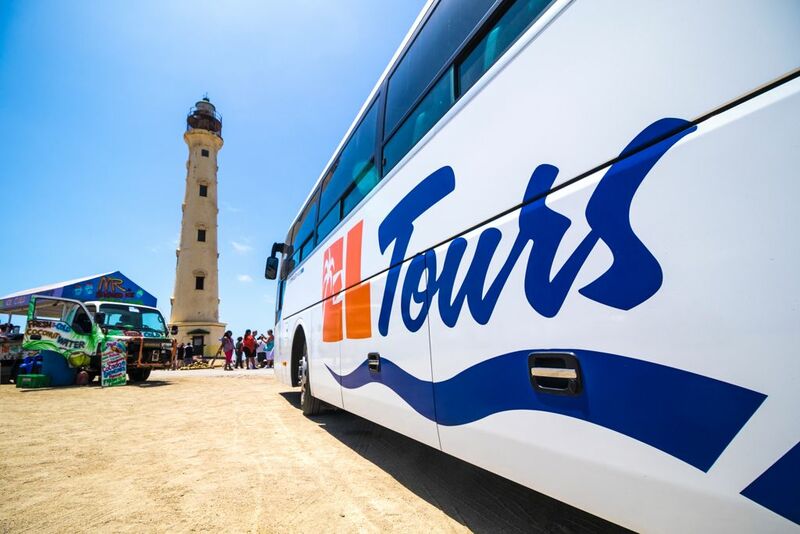 When you want to see several of Aruba’s most iconic sites, there’s no better way to do it than by taking the Aruba Highlights Tour with El Tours. 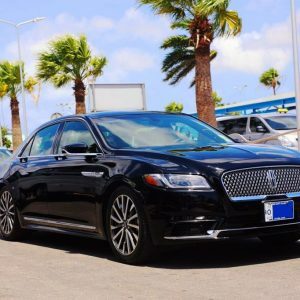 You’ll travel around One Happy Island in the comfort of a full-sized air-conditioned coach with huge windows that will allow you to take in plenty of interesting island views in-between official stops. 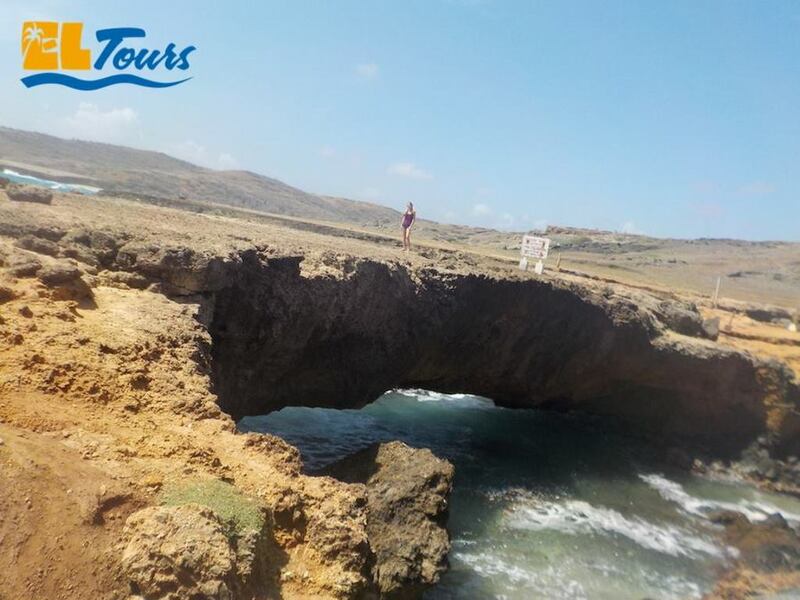 As you travel, your expert tour-guide and bus driver will keep you informed about what you’re seeing, along with fascinating facts about the rich natural and cultural heritage of the island. 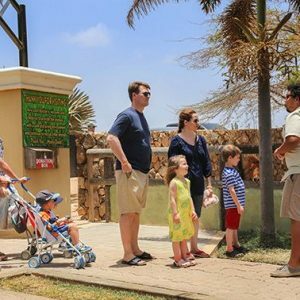 Please note if you book the Aruba Highlights Tour on a Sunday, Aruba Aloe is closed, but we’ll still stop and take a look at the vast fields of Aloe growing around the building – more than 150 acres of aloe are under cultivation year-round! 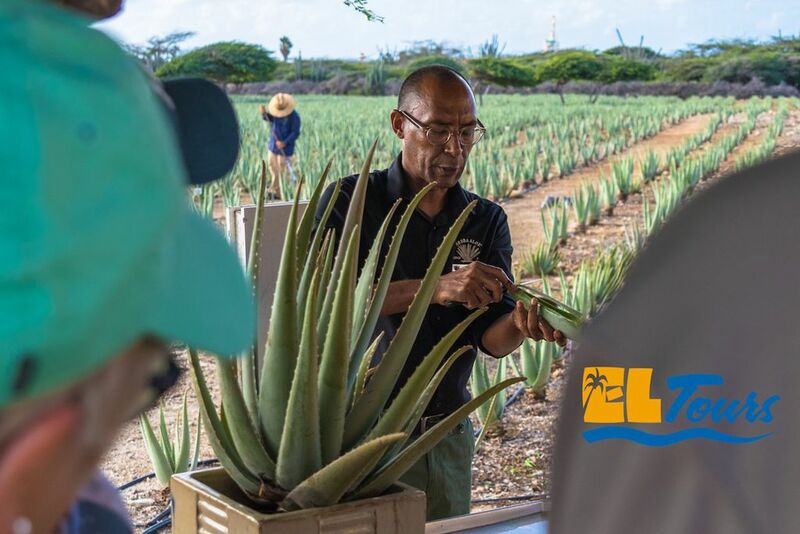 Aruba’s desert environment is perfect for growing aloe, which was first brought to the island back in 1840. Aruba Aloe makes a variety of body, sun and hair care products that can all be purchased at the factory store. 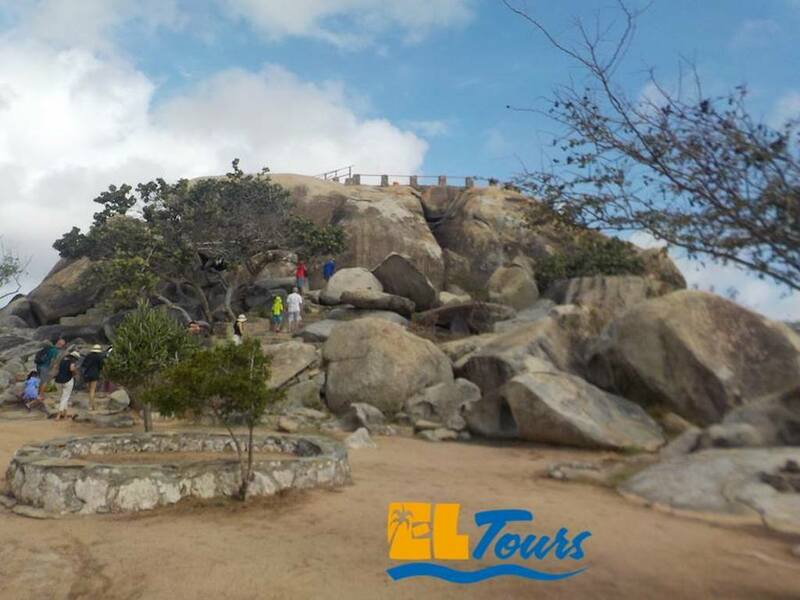 Rising out of the ground is the next stop on the Aruba Highlights Tour: The Casibari Rock Formation. Reaching the top of this stop involves a short climb that will be easy for most folks, whatever your age or ability. The amazing panoramic 360-degree views you get at the top are well worth the workout! 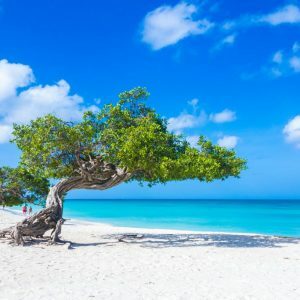 You’ll especially get a wonderful view of Aruba’s iconic Haystack hill, one of the most prominent landmarks you can see from many parts of One Happy Island. After snapping plenty of photos from the summit, you can descend the way you came or by a set of stone steps located on one side of the formation. 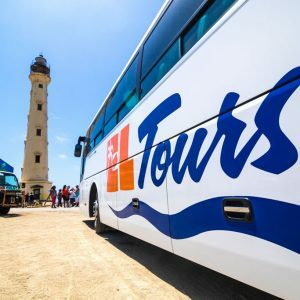 Your tour guide will be waiting for you at the bus with bottles of ice-cold local AWA water to refresh you, made by a five-step ocean water desalinization process resulting in some of the best drinking water you’ll find anywhere in the world! 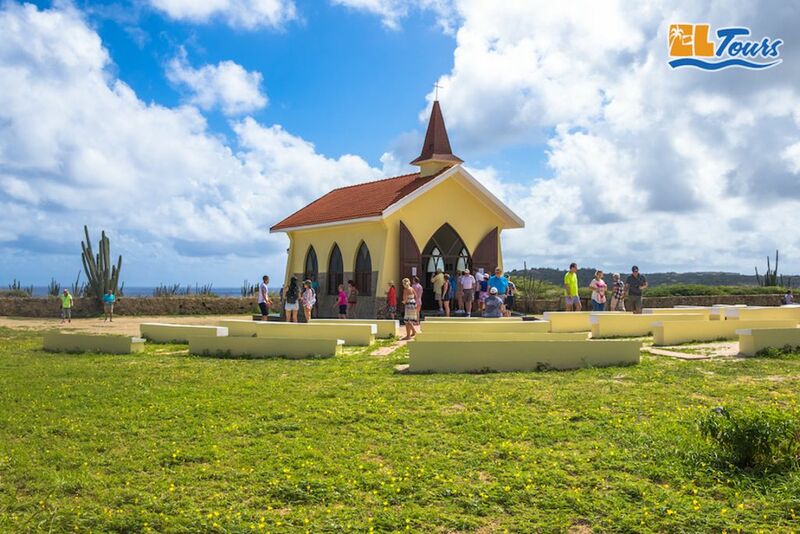 Alto Vista Chapel is a reconstruction of the original church built back in 1750 by a Spanish missionary as the first Catholic church on the island. It is a special place for peace and contemplation, surrounded by the Aruban countryside. Behind the chapel is the Peace Labyrinth which people walk in order to signal their hopes and prayers for world peace. The final stop on your tour is the iconic California Lighthouse, completed in 1913 and named for a ship named the SS California, a wooden steamship that sank in the waters off the island’s northwest coast back in 1891. Perched atop a gentle sloping hill, you’ll enjoy some of the best and most dramatic panoramic views to be found on One Happy Island! 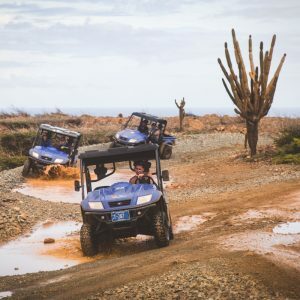 This 3.5-hour tour includes free pick-up and drop-off at your hotel or cruise ship and plenty of cold water along the way. If you’re in a group of at least 10 that need a particular language, we have tour guides who speak French, Italian, German and Portuguese. 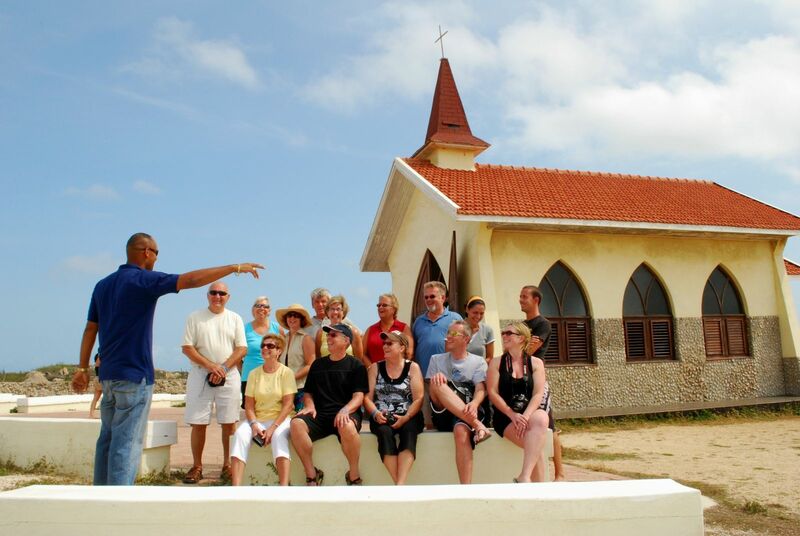 And all our tour guides already speak English, Spanish and Dutch.